Time-based One-time Passwords (TOTP) authenticator apps are often deployed on smartphones to enhance security of sensitive online accounts; however, replacing the phone typically requires a burdensome reset of all TOTP passwords. In this blog post we describe the clever use of a QR code reader, secure storage, bash scripting, and a QR code generator to quickly configure a new phone (no reset of TOTP required). 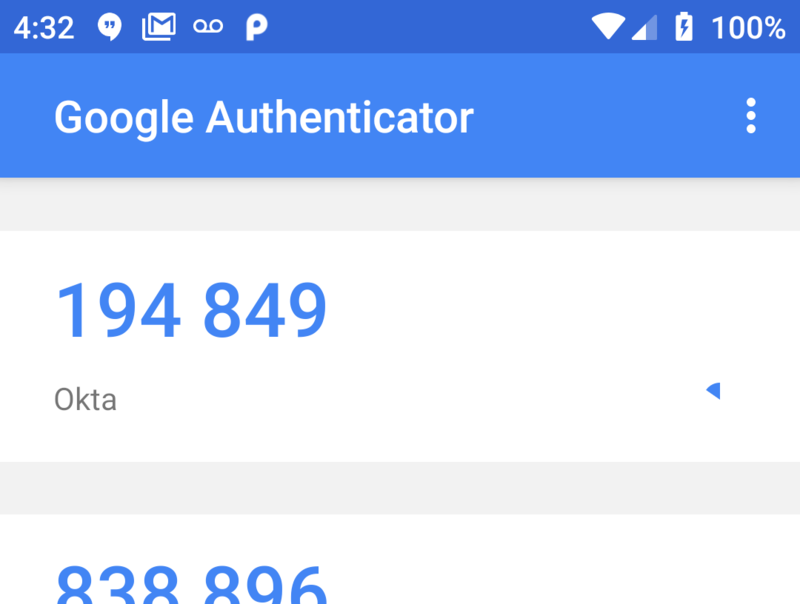 Smartphone TOTP, a form of Two-factor authentication (2FA), displays a 6-digit code derived from a shared secret, updating every thirty seconds. The shared secret is presented only once to the user, typically with a QR (Quick Response) Code which is scanned by the authenticator app. By using a simple QR app (not an authenticator app) to read in the shared secret, and storing the shared secret in a secure manner, one can easily recover the state of the authenticator app on a replacement phone. This procedure is designed for an Android phone and a macOS workstation, but can be adapted to an iOS phone or Linux workstation, and, with some work, to a Windows workstation. The process described here is not lightweight—it's as burdensome as resetting all your TOTP secrets. The target user is someone who prefers TOTP 2FA over SMS 2FA and who frequently upgrades phones (or factory resets them). Or someone who keeps spare phones. The gentle reader should rest assured that all secrets in this blog post are fakes and that we would not deliberately leak our TOTP secrets in such an indiscreet manner. Note that the link has a scheme of “otpauth”, an authority of “totp”, and the secret (key) is presented as a key-value pair query component (“secret=CBL5RAL4MSCFFKMX”). For those interested in more detail, the Google Authenticator GitHub Wiki is an excellent resource (where you will discover, among other things, that the key is Base32-encoded). We copy the URL to a password manager. In our case we use LastPass [LastPass] , but we believe any password manager will do. We are interested in alternative secure storage mechanisms (e.g. Vault, 1Password) for the secrets. For those of you so inclined, pull requests describing alternatives are welcome. We copy the URL to a “secure note”, one line per URL. We name the secure note totp.txt. We make sure we have a utility which displays QR codes to our terminal; we have found qrencode quite adequate, and on macOS it’s installed as easily as brew install qrencode (assuming the homebrew package manager is already installed). A parade of QR codes scrolls on our terminal, and we use our authenticator app to scan them in. We have been able to scan as many as 12 different QR codes in under a minute! 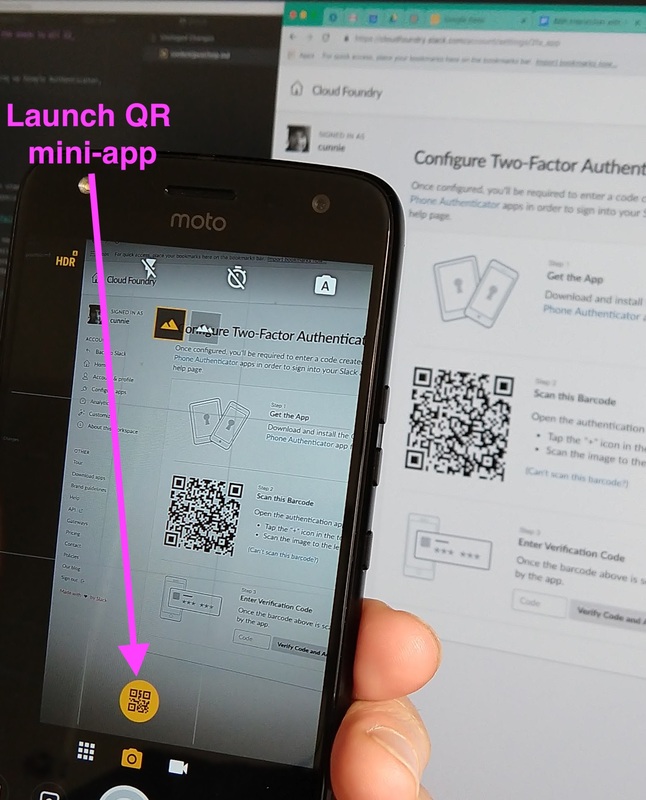 We point our authenticator app to the QR code on our terminal (not the QR code in the site’s web page) to ensure that the URL (and secret) have been correctly copied. U2F’s advantage is that its secret is never shared (it never leaves the key), so the secret itself is difficult to compromise. The downside is that the secret is stored in a physical key, so if the key is lost or broken, the 2FA must be reset. Also, adoption of U2F is not as widespread as TOTP: Slack, for example, offers TOTP 2FA but not U2F 2FA as of this writing. CNET describes a procedure which doesn’t require storing the secrets but does require visiting each TOTP-enabled site to scan in a new QR code. It also requires the old phone (it’s not much help if you lose your phone). 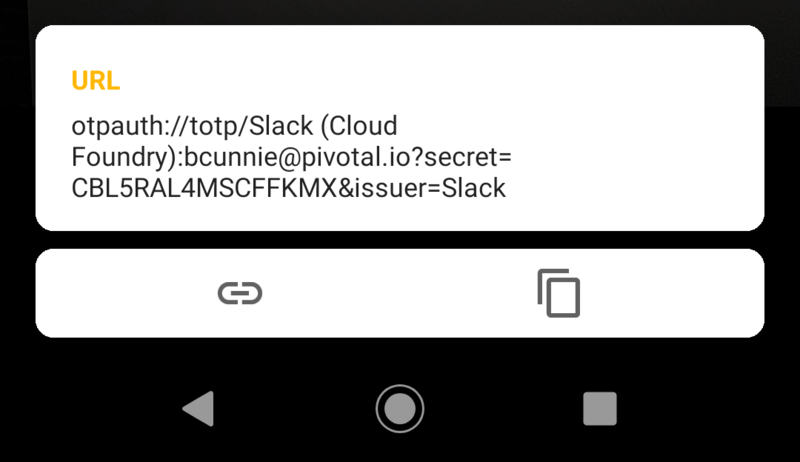 Protectimus suggests saving screenshots of your secret keys, a simple solution for the non-technical user. They also describe a very interesting mechanism to extract the keys from a rooted phone using adb and SQLite, a technique which may be useful for users who already have a rich set of TOTP sites but have not stored the URLs in a password manager.